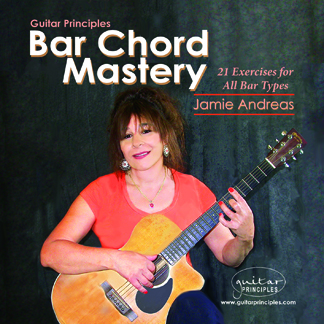 The fastest and surest way to success on guitar is to take lessons directly from Jamie. She is famous for her ability to watch a student play, and immediately diagnose the reason for a students's difficulty, no matter what style of guitar. Better yet, she knows exactly what the student must do to solve that problem. * Showing the student how to practice correctly for effective results from time spent. * Teaching the student how to solve specific technical problems they are having, such as troubles with speed, strumming, accuracy, chord changes, etc. * Organizing the students practice to fit their level and goals, making sure all key areas are covered. * Developing the students as a musician, making sure the student has the emotional involvement with their music that a musician must have, as well as the mental understanding of the music they are playing. There are many ways of studying with Jamie, from webcam lessons, to her online classroom, to in-person consulations. 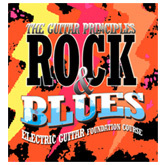 Each one will bring you powerful growth as a guitar player. There is no frequency requirement. Some students are take a lesson each week, some every other week, or once a month, others schedule a few times a year. It depends on how quickly you want to progress. We meet on the Zoom platform. It is easy to use and you get a recording of the lesson on your computer! 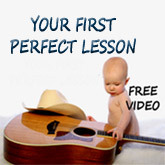 You will get the simple instructions for Zoom afer booking your lesson. For further questions, or to schedule a lesson, contact Geraldine. "...it's amazing the 'little' things she sees and is able to provide really insightful and helpful advice on." "...if anyone needs supersonic development as a player then lessons with Jamie will make it happen." …“Even though I have had requests for webcam lessons for many years, I was always reluctant to do them. I really did have doubts as to the effectiveness of them, and also wondered whether I would enjoy working with a student that way. 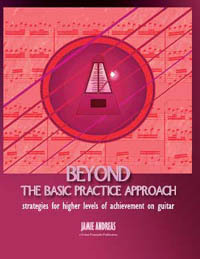 I had the principles of correct practice and wanted to ensure that I applied it correctly to bass. 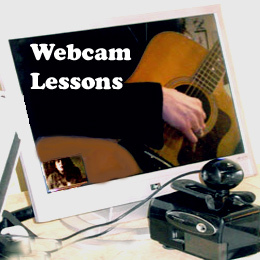 The Skype lessons with Jamie accelerated my progress to an astonishing rate. I started to play things that I never thought that I would be able to, and my speed and accuracy just sky-rocketed. Also the speed that I learn things is so much faster. 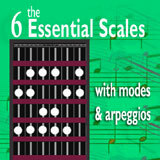 I joined a band and they are constantly amazed by this and they just assume that what I play is correct (rightly). Jamie's ability to point out things that I would otherwise not notice is uncanny, even across a Skype link. I am playing songs now (Californication, White Wedding, Superstition) that If I had attempted them six months ago would have led to muscles in my arms seizing up and back/shoulder/neck problems. Amongst other things, Jamie has taught me how to play and be relaxed while doing it, even at ferocious tempos. 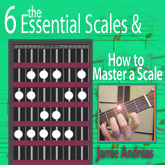 I heartily recommend Jamie's teaching. She is the best teacher I have worked with, and I have seen lots of teachers over more than 25 years. I started playing guitar when I was 58. I had a series of very nice teachers, some of whom were performing at the Blue Note. But they were essentially musicians rather than teachers. Three years later I have made some progress, but I never reached the desired speed and understanding how to really play this instrument that I love so much. Even practicing three hours a day didn’t dramatically improve my playing. 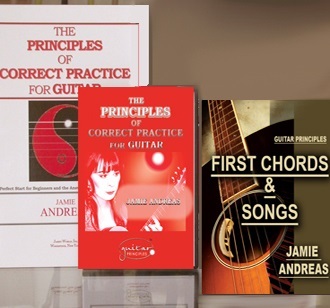 Ultimately I have read the “Principles” by Jamie Andreas, and this changed everything. I decided to take some Skype lessons with her, which I am busy doing for the last three months. This is just an incredible experience in life; it’s not only about how to position your fingers from the left or the right hand, about how to feel the strings, the exact pressure you exert. You learn not only to play with your brains and your fingers, but also to coordinate all this, your arms, your shoulders, and your respiration. Most importantly, you learn to analyze in depth every note you play and to correct everything that could be wrong. This kind of focusing and in depth analysis of every step is so incredibly fundamental, so fun, and so rewarding. As an MD, PhD, I spent my life in the academic environment, but I have never met such a dedicated teacher. Today if I would have to start again the education of my children, I would not send them to any of these prestigious schools but to Jamie Andreas. She would teach them better than anyone else how to focus and understand what they are doing. And this is just applicable to any field.